Garden trellis can instantly transform any outside space, injecting colour, character and style. 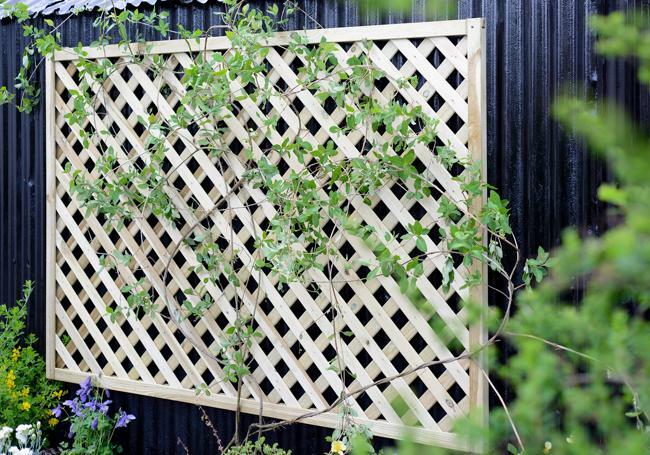 Not only a fabulous and easy way to grow and tend to flowers and climbing plants, the addition of a trellis fence can also clearly define boundaries and help screen off your garden from overlooking neighbours. Whether free standing, wall mounted or fence top trellis, you can enjoy a world of possibilities for bringing a gorgeous decorative touch to your garden. At AWBS we have a wide range of garden trellis, in an array of styles, sizes and shapes – from heavy duty trellis to decorative lattice. With our price match pledge and free local delivery from our Oxford, Yarnton and Swindon branches, AWBS is the only place you need to visit. Whether left bare or adorned with climbing plants and vines, a trellis fence offers so many opportunities for creating a fabulous feature in the garden. 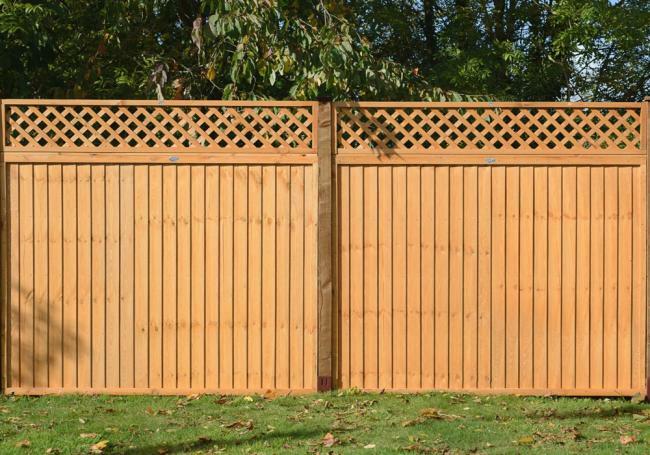 And, with our comprehensive range of fencing, you’re sure to find the perfect one for your project. 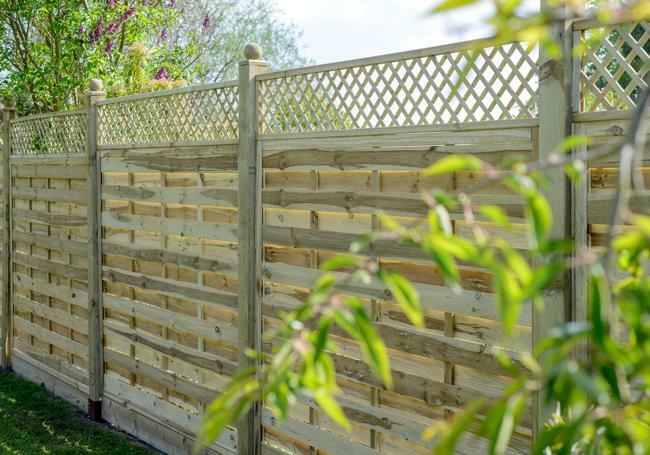 For a sturdy yet attractive design, our Best Value heavy duty trellis is ideal for attaching to the top of a fence panel to give extra height and privacy, without blocking the sunlight, as is the Grange Highgrove Square trellis. 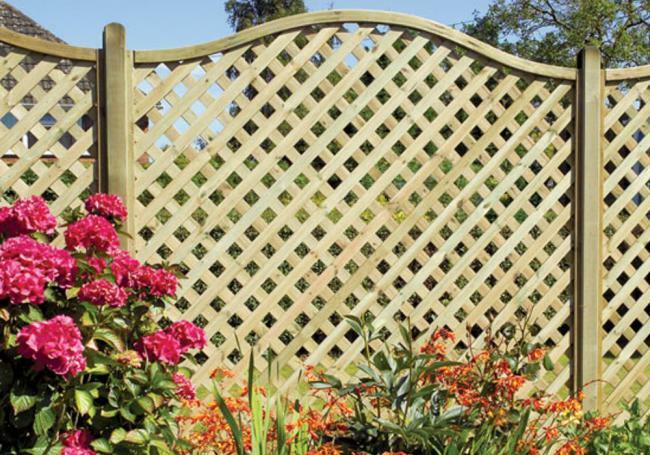 The Grange Alderley Concave lattice trellis adds a lovely decorative touch when used as a fence top trellis or on a wall, as does the highly versatile Convex version. The Grange Alderley Lattice and Grange Elite Lattice garden trellis are both beautifully framed and available in five different heights – perfect for creating a decorative border in your garden. 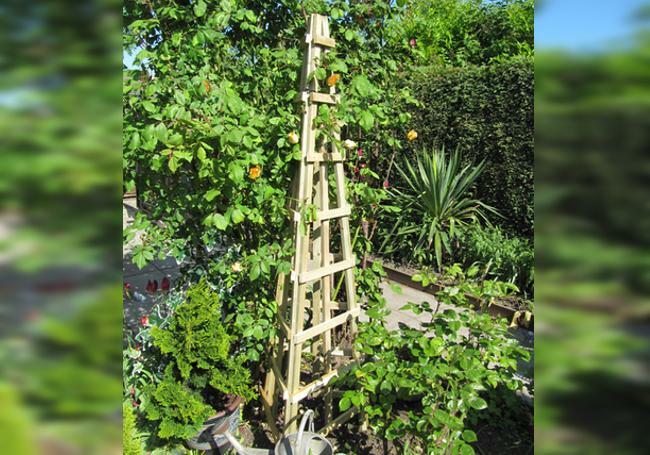 For a stunning finish, the Grange Elite St. Meloir premium trellis is a wonderful backdrop for climbing flowers, while the Grange Obelisk is a free standing trellis ideal for growing runner beans or other climbing plants, to create a gorgeous feature. Visit one of our three branches, where you can view our garden trellis collection and talk to our friendly and knowledgeable staff members about your project.